Bring on the drama with a swirl of rich red roses surrounded by clouds of white with this perfectly stunning fresh flower bouquet. 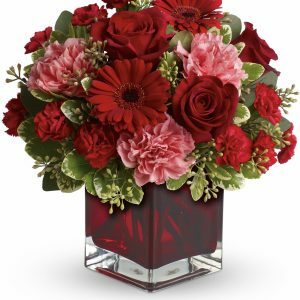 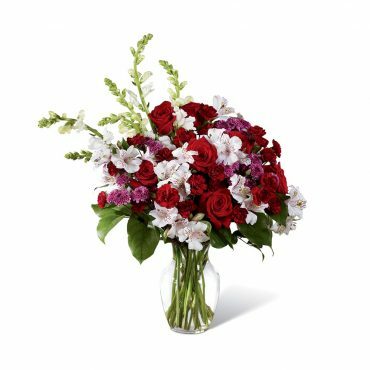 A departure from the everyday, this flower arrangement has everything you've been looking for - red roses, burgundy mini carnations, white Peruvian Lilies, white snapdragons, purple button poms, and lush greens. 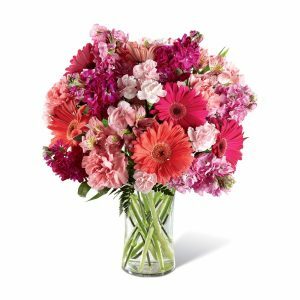 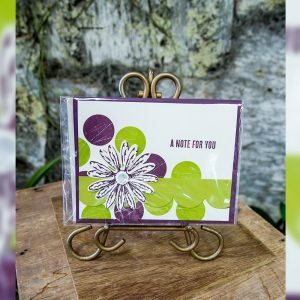 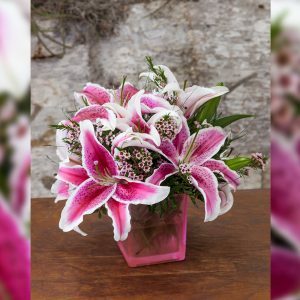 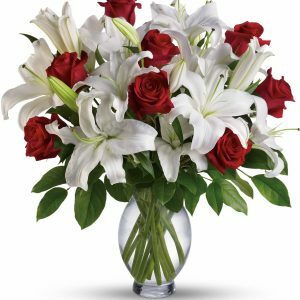 Presented in a classic clear glass vase, this sophisticated flower bouquet is a beautiful way to celebrate an anniversary, say, "I love you," or express your happy birthday wishes.